"Aries- it's the first sign in the zodiac and it's ruling planet is Mars. It's very passionate, independent, impulsive and often looking for competition. Rams value honesty, but they can be overly blunt and sometimes come off as rude." Four is my lucky number, so I decided to make my horoscope sign- the Aries! The above description is quite accurate for me, are your horoscopes accurate? Until recently I've been avoiding color pencils, but I finally feel more comfortable using them. The best trick I learned is to use softer strokes and to continue adding colors in layers. This allows a better control of saturation and good blending. However, using decent color pencils, preferably from art supplies shop helped out as well. Today I had a day off work so I spent a lot more time on the doodle. Initially I started with a digital sketch, but I didn't like it and scrapped it. I'm glad I tried again in my sketchbook. I really had fun with this and I'll try making all horoscope signs. A rough pencils sketch that I erased later on. I kept the sketch and shapes very simple, to make it cuter and easier to color later. First I wanted to add another horoscope on the right side, but I felt that there isn't enough space for details. Therefore I added fire to make the scene more interesting and fun. Simple inking with a 0.8 pen. I used to use mostly 0.1 pens, but a thicker pen leaves a stronger impressions allows for more line control like thick and thin lines. I'm considering buying an ink pen/brush, for better line quality. However, I've never tried it before, so I'm not sure if the lines will be clean. If any of you tried those, what are your experiences? Here you can see the first layers, but it's not blended yet and I was mostly testing the color scheme. I decided to use fire colors, because that is the common element co-notated with Aries. This is the scan of the final drawing. I don't scan each step as it takes around 10 minutes for a quality scan, because it would interrupt the creative flow. However I prefer scanning the final result as you can see more details and the drawing looks much better. I hope you enjoyed this days doodle and join me tomorrow for the next one! To make my dragon doodle challenge even more fun, you can participate! Share your ideas and win some sbd! I will share 50% of the sbd payout to the user on the post where I use their idea, after that post's payout. You can name and give the dragon a description/backstory, or I will. You can also choose medium- digital/traditional. Cute dragon, i like how you give a character trough the description to him. 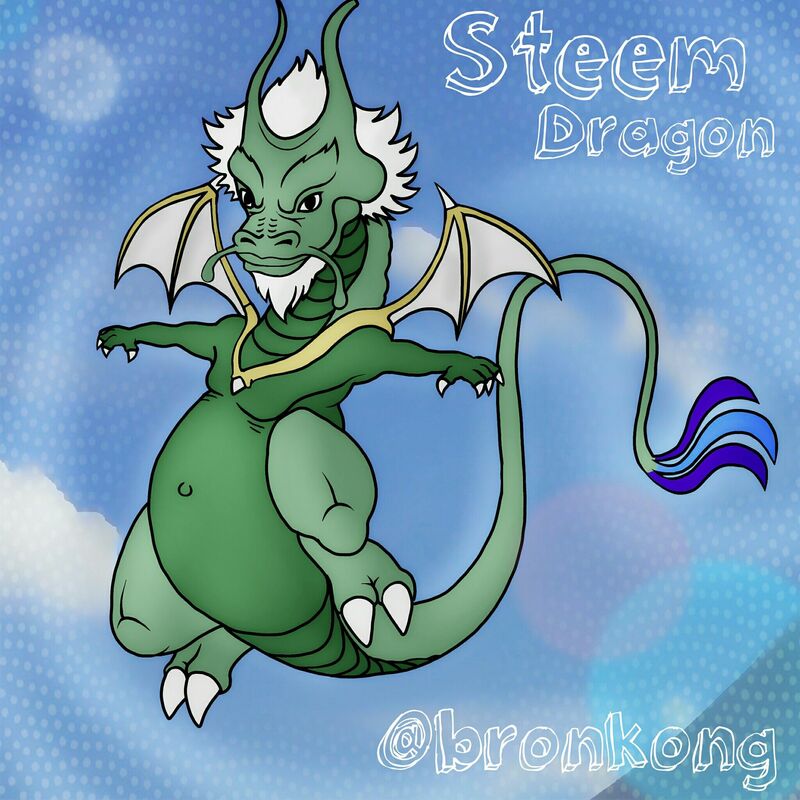 I would like to see a steem dragon from you. Btw i could imagine to open a contest together with you and searching for a steem dragon. I have saved up some steem for price pool. Congratulations! This post has been upvoted from the communal account, @minnowsupport, by kristyglas from the Minnow Support Project. It's a witness project run by aggroed, ausbitbank, teamsteem, theprophet0, someguy123, neoxian, followbtcnews, and netuoso. The goal is to help Steemit grow by supporting Minnows. Please find us at the Peace, Abundance, and Liberty Network (PALnet) Discord Channel. It's a completely public and open space to all members of the Steemit community who voluntarily choose to be there. what an amazing Aries dragon, are you going to make all zodiac signs as dragons? Thank you ^^ I will. I've wanted to for a while, now feel it's a great time to try all.